We spent the half-term school holiday the first week of November in Porto, Portugal. Portugal is sort of an easy country to overlook; in fact, several well-traveled European friends told me they've never been. But many of our kids' schoolmates are Portuguese, so they hear about Portugal a lot (albeit mostly football/soccer related!) and so they were keen to see firsthand what all the fuss is about. Plus, Pete said he has always wanted to go. Budget airline easyjet offers direct flights from Luxembourg. And then we found a cheap Airbnb, so I was pretty much sold. 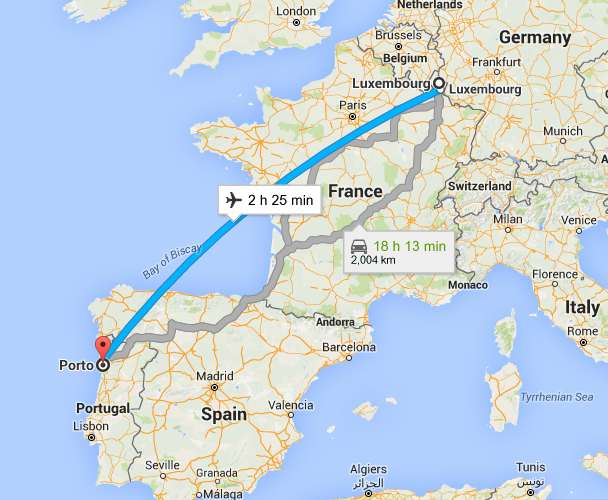 Easyjet flights go to Lisbon or Porto, and Porto seemed like the slightly less touristy option. 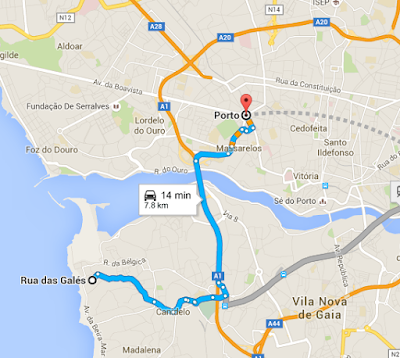 The area is probably best known for originating Port wine. Our flat was actually near the beach in Vila Nova Da Gaia, across the Douro river from Porto. We opted to rent a car for our 5 day stay.